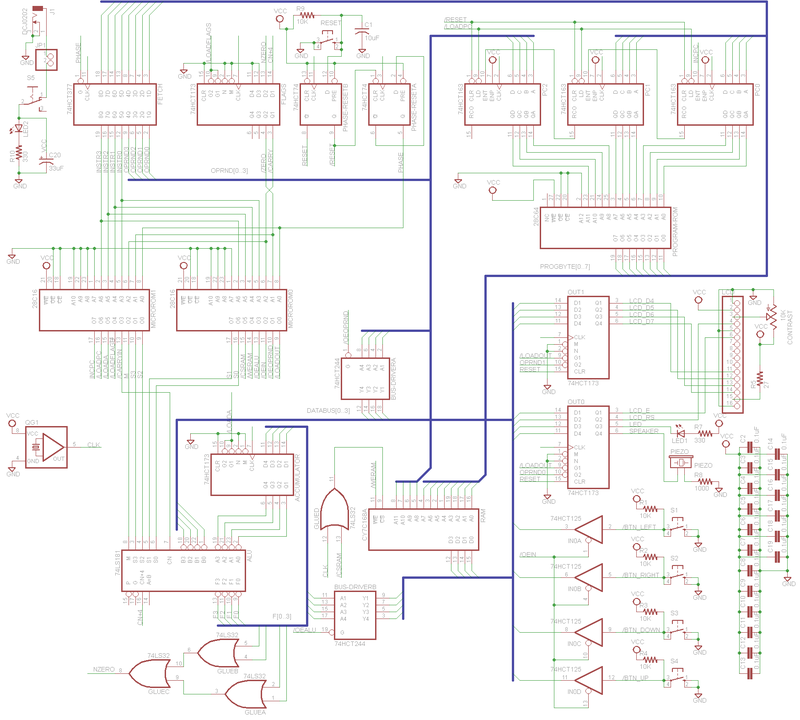 Here is a quick update on my homebrew 4 bit CPU. After few hours with the jumper wires and breadboard I managed to create a nasty looking maze of connections, starting with the accumulator: I used a 74HCT173 D register and connected it so that it feeds the 4 bit output of the ALU (F0...F3) back to it's A input (A0..A3) . 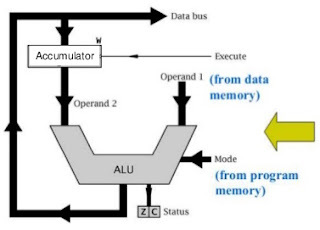 I still dont have the right PROM and EEPROMs for Program and Microcode so i was thinking maybe i could emblement both using a microcontroller and some i2c port expansion chip! ?